You may ask, what can an author who’s sold more than 450 million books, as well as providing the content and inspiration for the behemoth that is the blockbuster series of Harry Potter movies, teach me about being rejected? I would venture to say quite a bit actually. JK Rowling certainly inspired me to keep going, albeit not down the same path, but you’d imagine because of her stellar success she wouldn’t know anything about rejection – but you’d be wrong. Rowling was rejected numerous times when she began approaching literary agents with Harry Potter and the Philosopher’s Stone. I’ll bet they’re kicking themselves now. 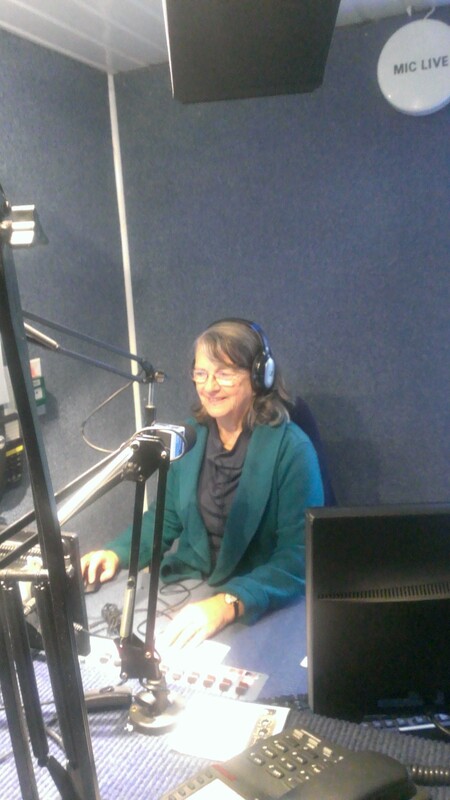 The Christopher Little Literary Agency agreed to represent her, a decision which has more than paid off! The rest, as they say, is history. Many of us are aware that JK Rowling didn’t have immediate success when she approached agents and publishers with her first Harry Potter adventure. 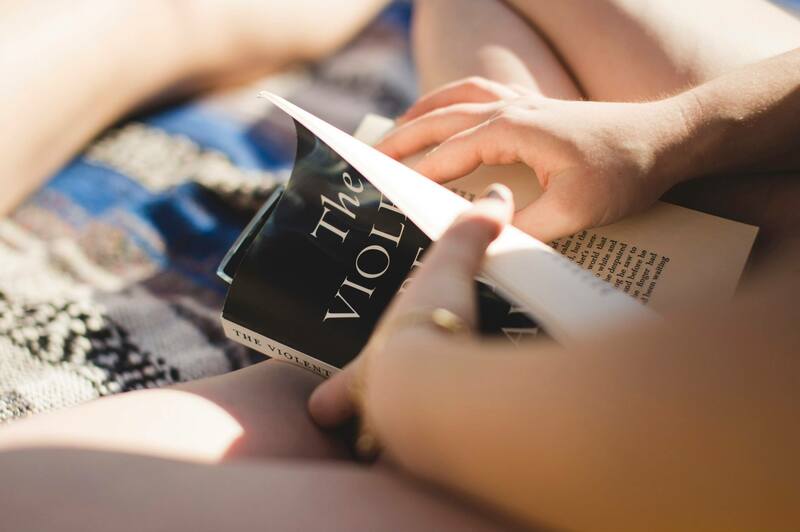 Despite those rejections, the best-selling author of the Harry Potter fantasy series and her first adult novel, The Casual vacancy, decided to go incognito for her first foray into crime fiction. I recently read a newspaper article that highlighted her rejections when she was looking to become published as crime thriller author, Robert Galbraith. When she sent off The Cuckoo’s Calling she came up against the same response as before, and probably some of what you and I have also experienced. Thank you very much for giving us the opportunity to consider your novel, which we have looked at with interest. However, I regret that we have reluctantly come to the conclusion that we could not publish it with commercial success. Owing to pressure of submissions, I regret we cannot reply individually or provide constructive criticism. (A writers’ group/writing course may help with the latter.) May I wish you every success in placing your work elsewhere. 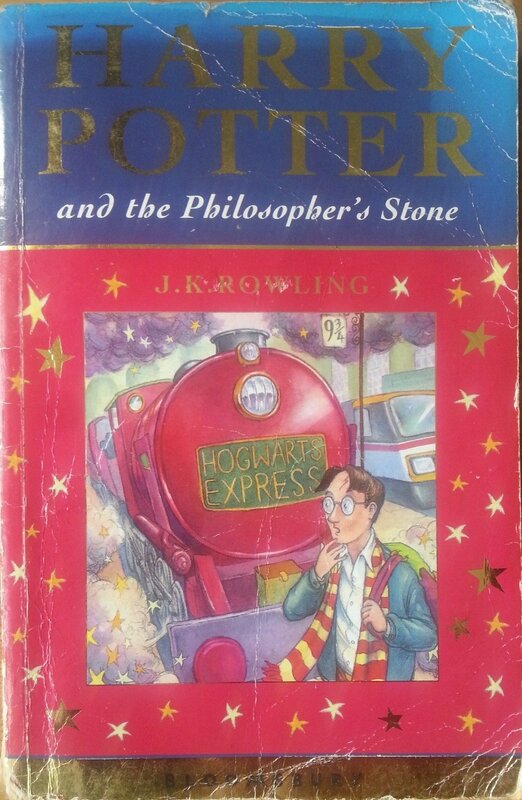 It’s thought that twelve publishers turned down Harry Potter in 1996 until Bloomsbury took it on. Rowling pointed out that the same publisher who first rejected Harry Potter had sent the ‘rudest’ response to The Cuckoo’s Calling. Eventually it was published by Sphere, the same publisher who accepted The Casual Vacancy in 2012. It was released in April 2013 and sold around 450 copies in Britain and a further 1,000 worldwide before the author’s true identity was made public. 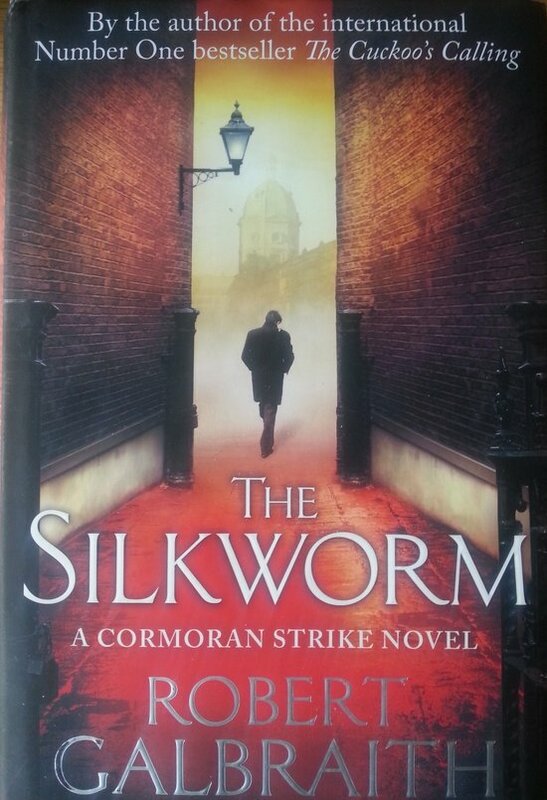 Rowling has penned two further novels under the Galbraith pen name: The Silkworm and Career of Evil. So even one of the most successful authors of all-time continues to be rejected! Most authors have suffered many rejections. Rejection is part of a writer’s life; it’s how you deal with it that matters. So if you’ve been rejected you’re in great company! Having been told by an editor that he couldn’t write about women, Stephen King set about penning his grisly epistolary tale of a lonely teenager, Carrie, a vilified misfit with telekinetic powers. King actually rejected himself by binning his first few pages of Carrie, (his fourth novel but first to be published), but his wife Tabitha rescued the pages from his waste paper bin! Margaret Mitchell had Gone with the Wind rejected 38 times before it was published and went on to win the Pulitzer Prize for Fiction in 1937. The movie of ‘Gone with the Wind’ became the most successful film ever made up to that point, and remained the highest earning film for a further 25 years after it was released in December 1939. It won 10 Academy Awards, including Best Picture, Best Director, Best Adapted Screenplay, Best Actress, and Best Supporting Actress. It’s still the most successful film in box-office history after monetary inflation has been taken into consideration. 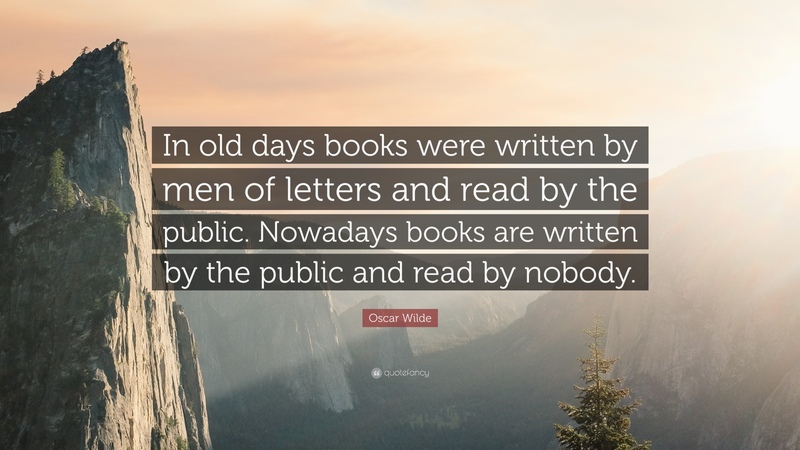 Other celebrated and successful authors that were rejected include: Mark Twain, DH Lawrence, Herman Melville, Ernest Hemingway, Dan Brown, Beatrix Potter, Agatha Christie, James Redfield, William Golding, George Orwell, John le Carré and Rudyard Kipling to name but a few. 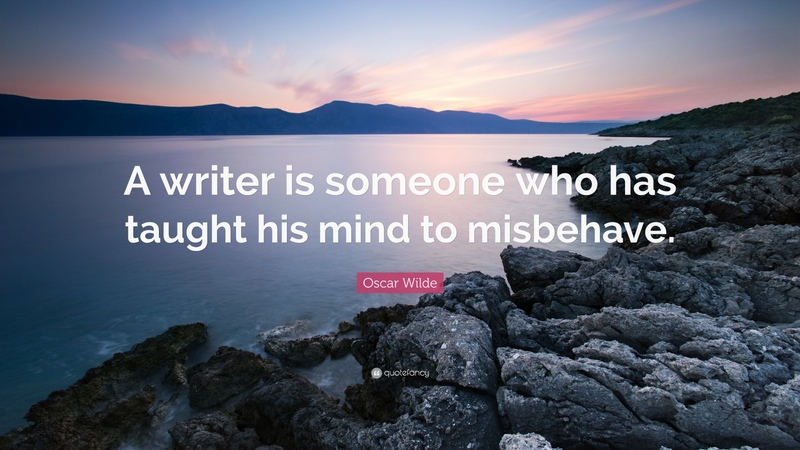 Although it’s unpleasant, it seems par for the course that at some point you’ll be rejected, either as a writer, or in any other endeavour you undertake. If you have the right attitude about it, rejection can inject you with the essential determination and strength of character needed to succeed, as well as helping to hone your skills where appropriate. 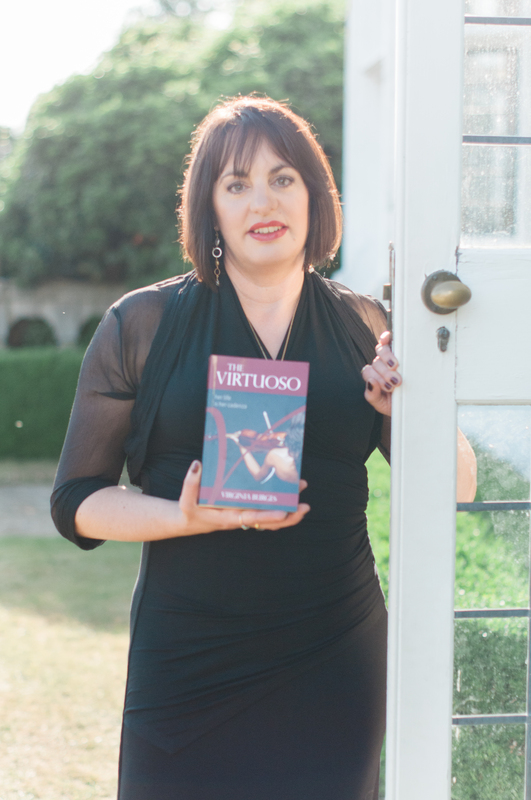 When I was ready to put my debut novel, The Virtuoso out there, it was a nerve wracking time. 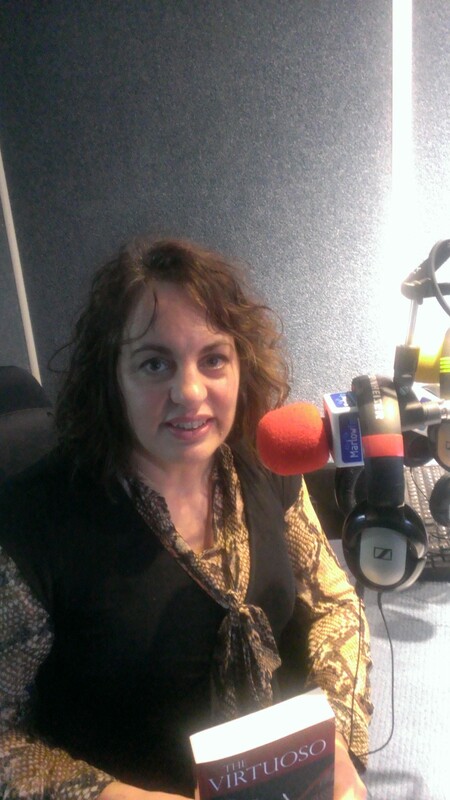 I was a first time author, my confidence was growing but I felt vulnerable and self-conscious. I didn’t know if I had it in me to become a published author or if people would enjoy my book. These fears have been banished since publication and the growing body of healthy reviews. Needless to say I had many ‘thanks, but no thanks’ type of replies to my submissions, and some didn’t even bother to respond. After a few months of this soul destroying process I decided to self-publish. Independent authors comprise a significant share of the publishing industry. In this 2015 article, The Bookseller attempts to highlight the size of the self-publishing sector within the industry. 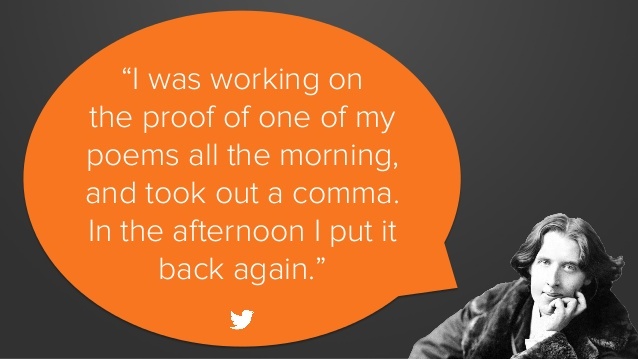 John Lock was the first author to sell over a million ebooks on Amazon. It can be done. There are many avenues an author can pursue, which I’m not going to go into here. Once I took my future into my own hands I felt better about myself. I was no longer at the mercy of literary agents; I could determine my own path. 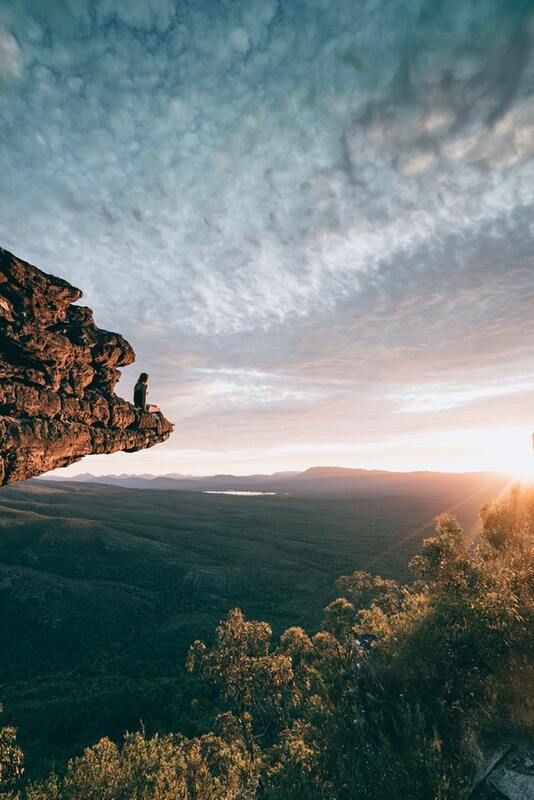 The key point is to take positive action and don’t stop believing in yourself. 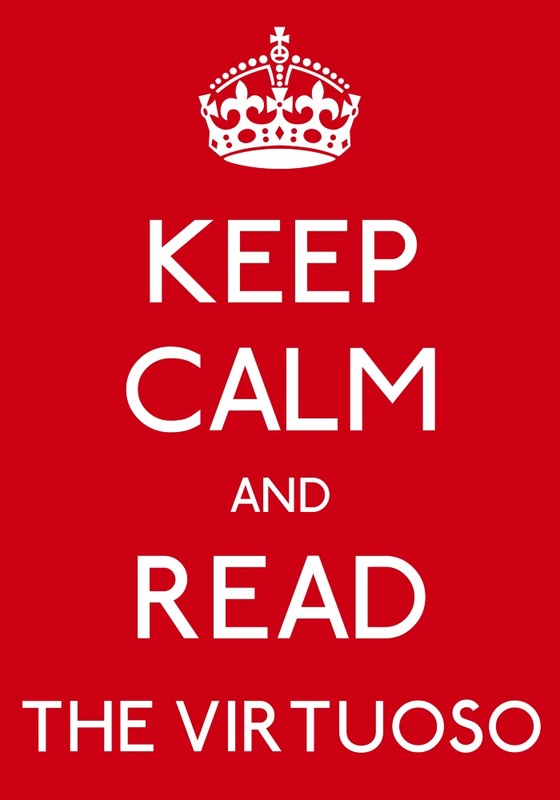 Reading is highly subjective, and as Stephen King rightly pointed out, you can’t please all of the readers all of the time, you can’t even please some of the readers all of the time, but you really ought to try to please at least some of the readers some of the time. If you can do that, you’re up there with the best of them. 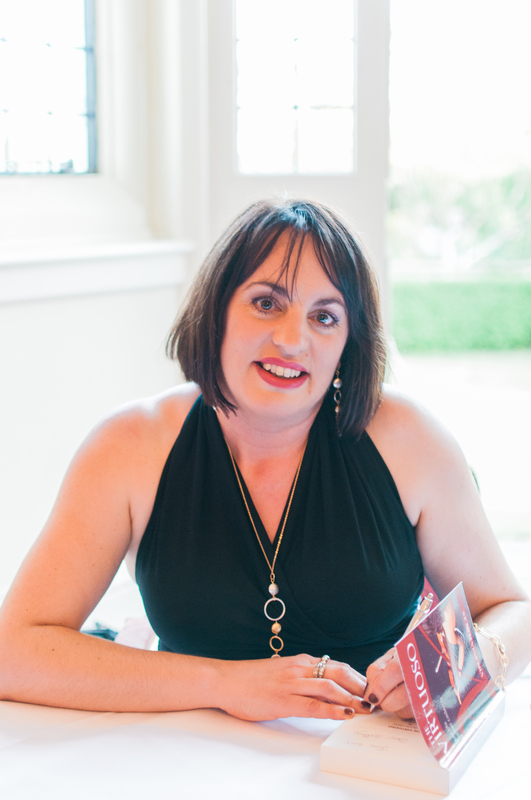 I spent years working on my manuscript alongside working and raising a large family, I wasn’t about to ditch my dream because an agent or publisher didn’t feel my work was quite right for them at the time. Thank you for bearing with me while I took a read of this. 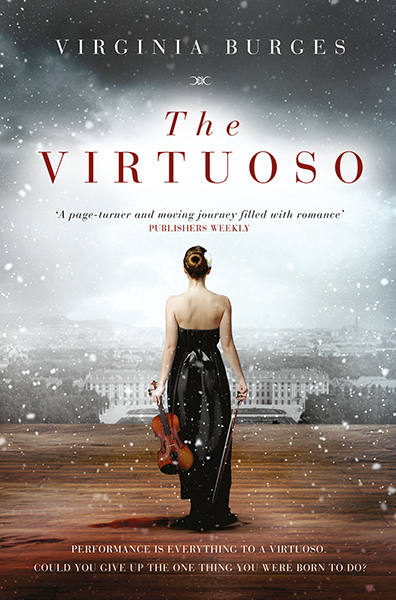 The Virtuoso is a window into a fascinating world, and you obviously know your subject very well. I’m afraid I don’t think it’s one for my list – I have to be very selective about what I take on, and to me the focus on relationships and dialogue just felt a little far towards the commercial end of the market for my tastes. 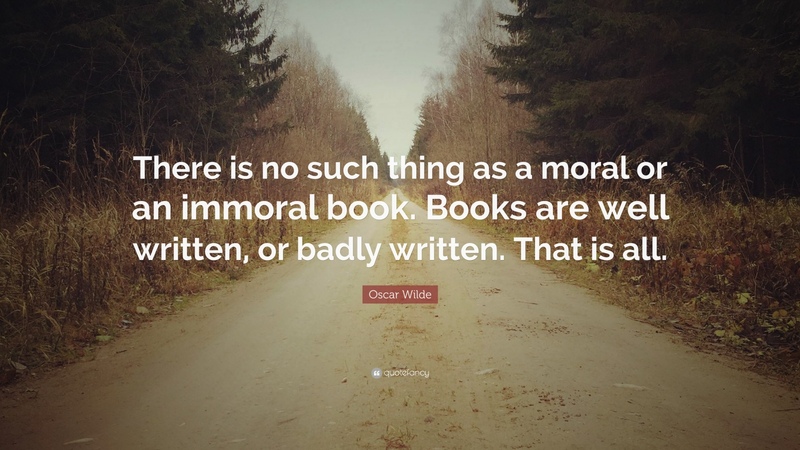 Do keep trying it with agents – perhaps have a look in the acknowledgements sections of books that you think are for a similar readership, and see who represents them? Very best of luck with it. Thank you for sending me THE VIRTUOSO and for giving me the opportunity to consider your work. Unfortunately I am not able to offer you representation for your work. Although I thought the premise of the story was engaging, I’m afraid I did not fall in love with the writing, itself, the way I would need to in order to take it on in today’s tough non-fiction marketplace. I am sorry for this response but I feel that an agent must be wholeheartedly and unreservedly behind a book if she hopes to sell it to publishers. These judgements are always subjective and you may well find someone who feels very differently. Thank you for giving me the chance to consider your work and I wish you luck in your search for a suitable agent to assist you. Many thanks for sending us this proposal, which I read with interest. I considered it carefully but I’m afraid on balance it just doesn’t quite grab my imagination in the way that it must for me to offer to represent you. So I must follow my instinct and pass on this occasion. I’m really sorry to be so disappointing, but thanks for thinking of us. Of course this is a totally subjective judgement, so do try other agents and I wish you every success. Thank you for sending in your material to us. We have read and considered your proposal carefully but do not feel it is something we could place successfully in the current publishing climate. Please bear in mind that this is the opinion of one agency alone and that others may feel differently. We are extremely sorry to disappoint you but we wish you the very best of luck with your future writing. Thank you for sending me your submission. 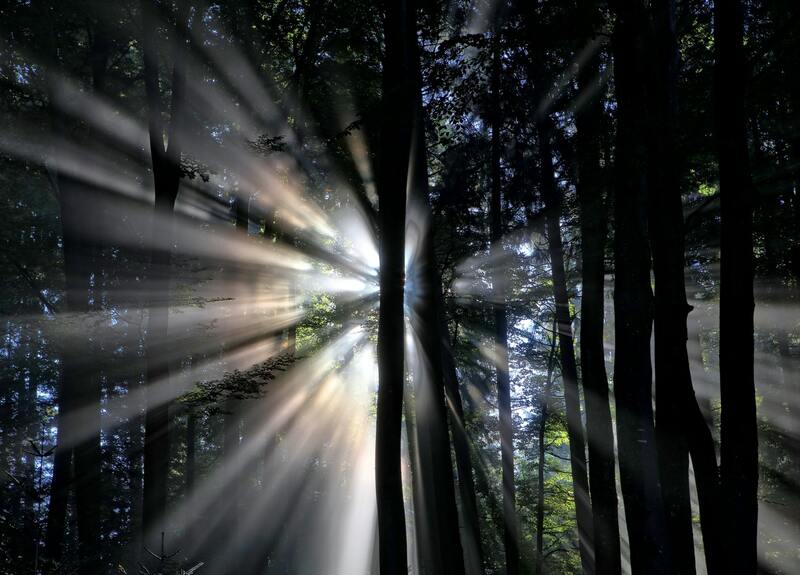 I found your writing engaging, as you do write with real energy and imagination. Having said that, I am afraid it wasn’t really something that I am currently looking for but I do wish you every success with your submission. 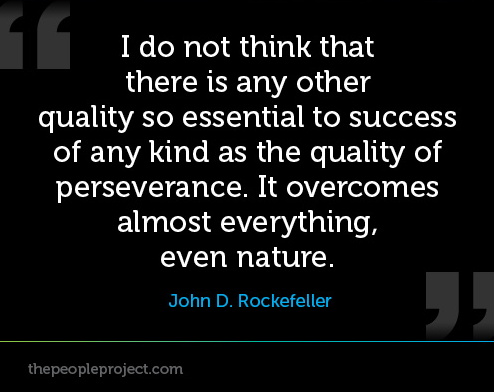 You may be reading this and thinking, ‘But I’m not an author so this isn’t relevant to me.’ However you can still apply the principles of not giving up, determination, re-evaluation and persistence to whatever project you’re working on. Here’s a great motivational video by Prince Ea if you need help in that department! We can all take a leaf out of Scarlett O’Hara’s book – after all, tomorrow is another day! 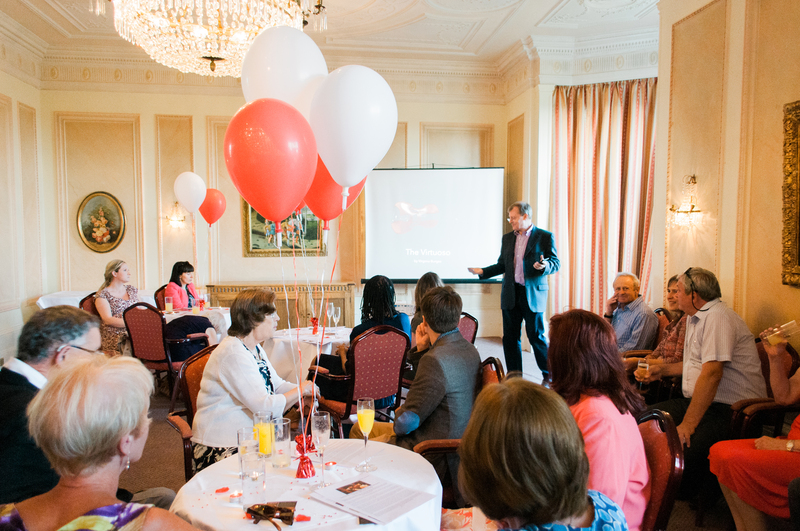 After weeks of planning my big day was finally here: 25th June 2015 – Book Launch Day. My stomach had been in turmoil all week, but I was strangely calm on the morning of the event. It felt reminiscent of planning a wedding and I didn’t want to turn into the literary equivalent of bridezilla! 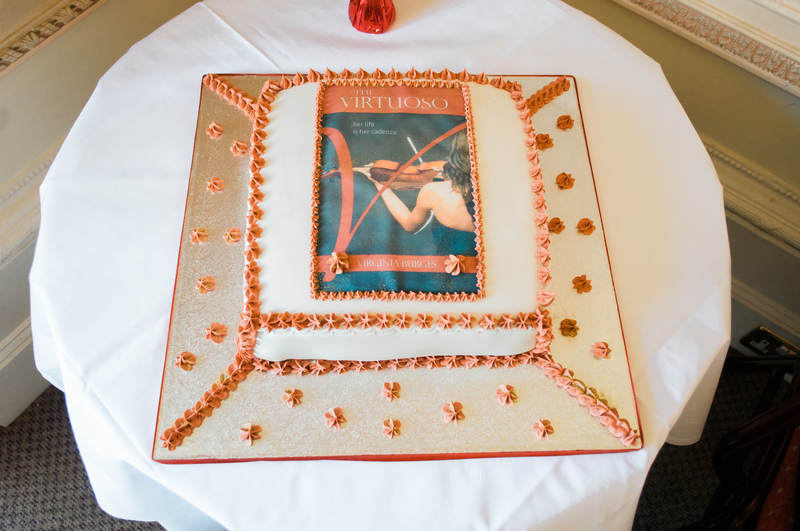 After all, my launch party was meant to be fun, a celebration of getting The Virtuoso into print, and an acknowledgement of the many years of hard work that had gone into its creation. But I still felt I had a lot riding on it. I didn’t want to mess up in front of my family, friends and esteemed colleagues who were waiting expectantly, all dressed up in their glad rags, except for my brother! 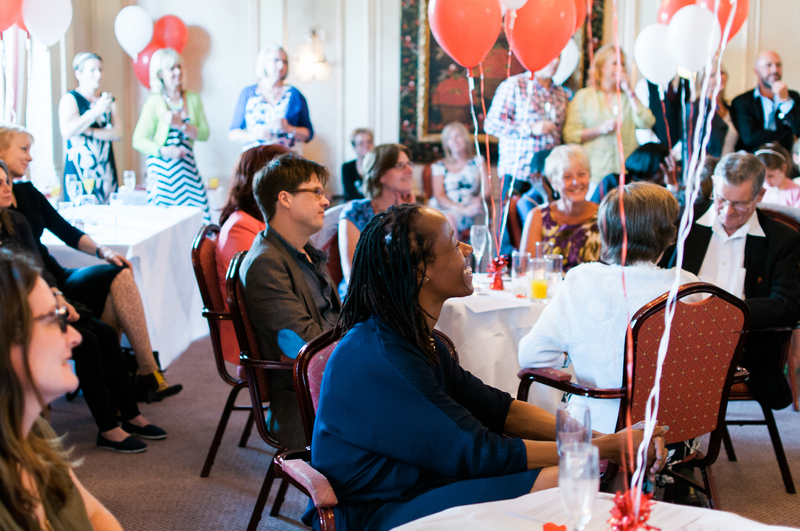 I had lived and breathed my labour of love for the last few years, and now it was time to unleash it on the lovely people who came to support and celebrate with me. I planned the event as meticulously as I could amidst my busiest month of the year so far. I’d had an extremely manic time with my family; two birthdays, one delayed birthday treat, one school trip to Waterloo, one book launch and a trip to the Royal Albert Hall all within days of each other. Inevitably, some key people couldn’t make the event and I had to roll with it. At one point I was panicking that I’d just be speaking to my mum! In the end there were about forty guests, so my fears were unfounded. I went to the hairdressers early in the morning; I didn’t want to risk a bad hair day! Mum and I got to the venue as early as we could, I had lots of helium balloons to inflate, tables to decorate, books to display. It was a real treat having my makeup done for me just beforehand. 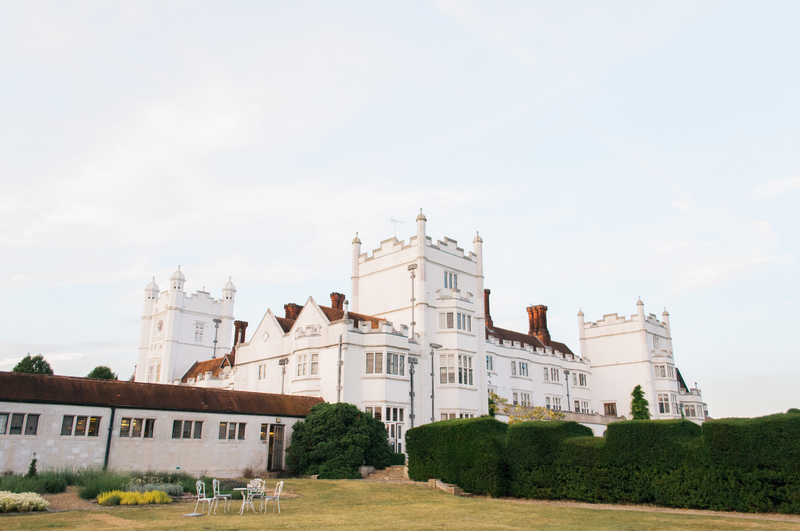 Danesfield House Hotel is the sort of hotel that my protagonist, Isabelle Bryant, would have frequented! 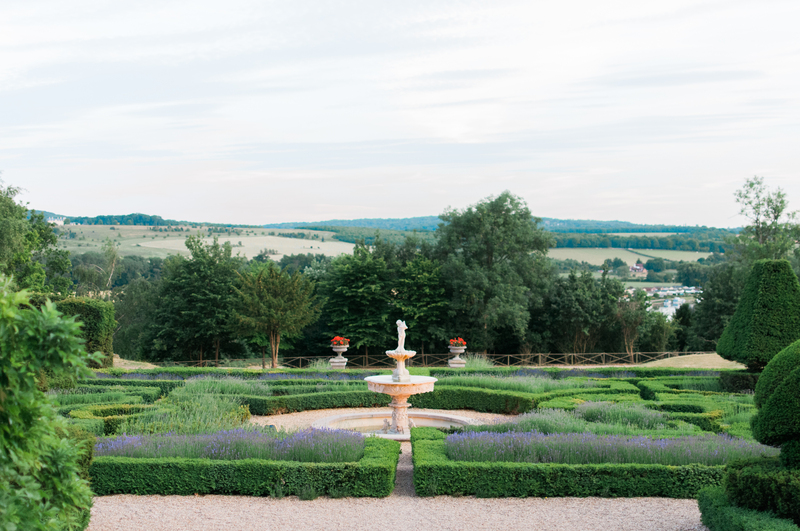 It’s nestled on a hillside between Marlow and Henley with magnificent views over the River Thames. The hotel has an interesting history, as well as having played host to George and Amal Clooney for their UK wedding celebration last year. Me and my gang weren’t Hollywood A-Listers, but they still gave us a warm welcome and treated us with impeccable service. It was a happy moment for me when my family arrived to join me. 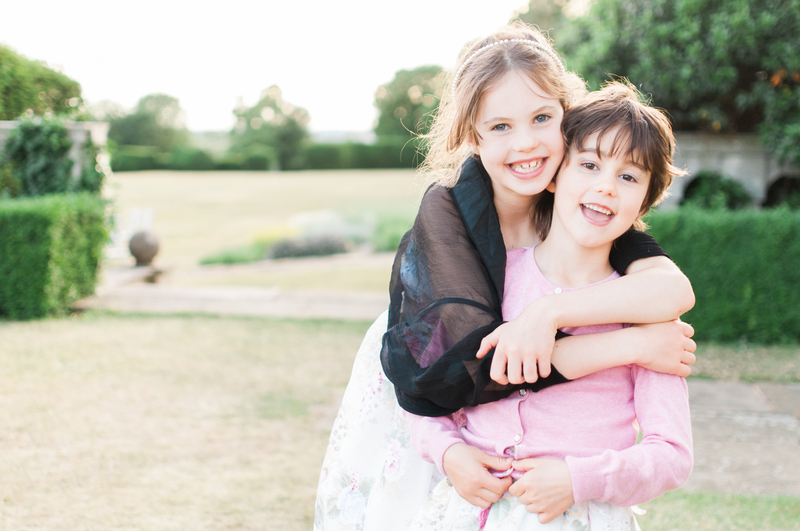 My youngest, Ruby, was just so sweet, she couldn’t hide her excitement and was galloping around the grounds. On arrival my guests were greeted with a hug and served with chilled Prosecco. 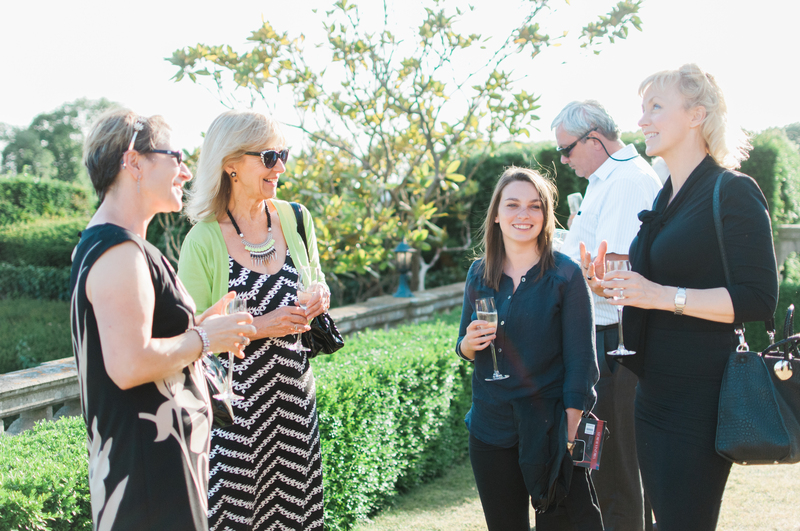 The doors of the Chiltern Suite open out onto the terrace, and luckily the weather was amazing so everyone was able to sun themselves in warm, balmy air and relax a little before the formal part of the evening got underway. Robert Clay did a brilliant introduction for me, and then it was time to step on to the stage. I made a joke of my knees knocking together under my long black gown with exaggerated movements, which got a few titters, and then I was off! I was mighty relieved to get a hearty round of applause at the end. Luckily everyone seemed to find it interesting and enjoy themselves. After that canapes and drinks were served and the audience were treated to a rendition of the music soundtrack which was written especially for the book. One guest even took the score home to play on her piano. The music is now available to download and stream on Amazon, iTunes (listed under soundtracks on the store) and on Spotify. Search for Tim Johnson – The Virtuoso (feat. Adelia Myslov). However – as is usually the case with life – as soon as you find yourself on a high there is someone ready to take you down a peg or two! Only a few days later I had the absolute worst review on my Amazon page. Everyone is entitled to their opinion, and this person didn’t hold back about how bad they thought the book was. I felt devastated. 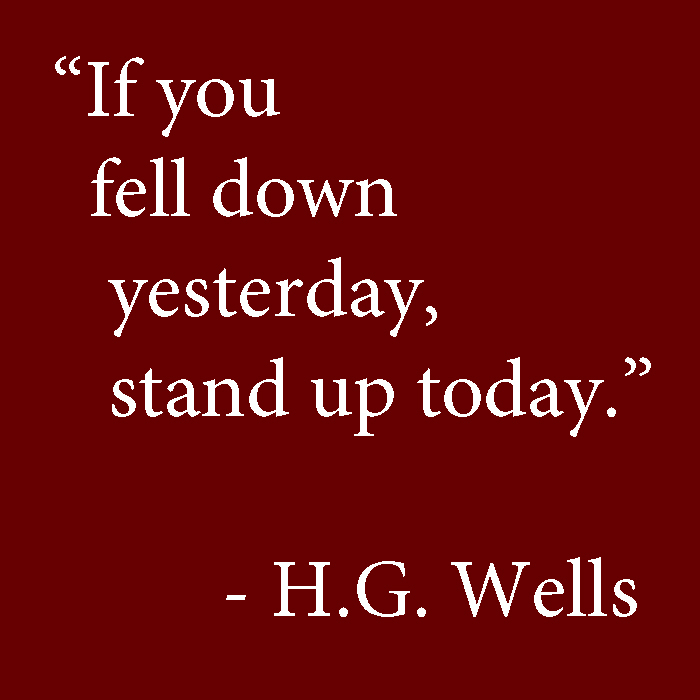 But, like most authors who I’m sure at some point have endured a cruel slur about their work, I just had to pick myself up, dust myself off and try not to feel like giving up. They made a point about the price differentiation which I can explain. It was not done deliberately! When I originally set the price my publisher was in favour of £8.99 but I wanted to keep it below £8. However, when I made the book available in paperback with Amazon the minimum price they allowed me to charge was $15.99/£8.67. 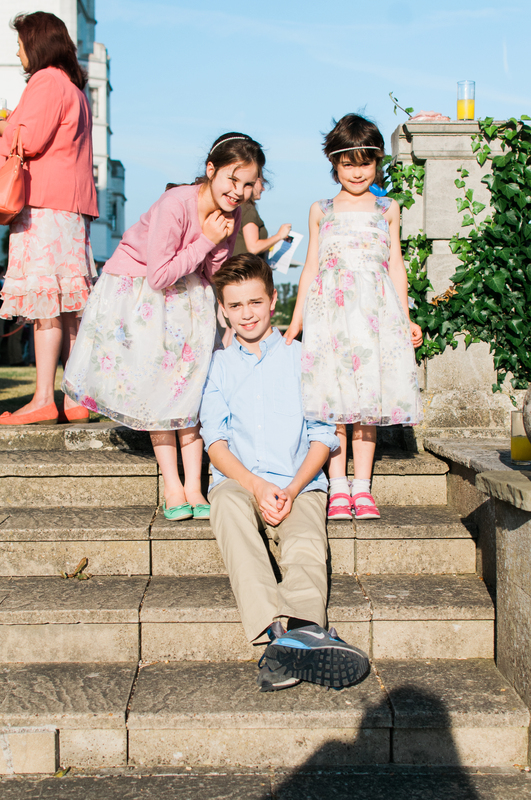 I’m in the process of uploading the photo gallery onto my Facebook page. It just remains for me to thank my family, friends and everyone who helped to make my book launch a really special evening filled with joy and excitement! As well as the thanks I owed to everyone who helped me with the book, mainly my publisher, Nicky Fitzmaurice at Satin Paperbacks, and Gary Smailes at Bubblecow and Caroline Jacques for her fabulous cover. I’m also grateful to Liz Britnell for the tasty three tiered chocolate cake, Alison Oswald for making me feel like a movie star, Becky Rui for her amazing photographs of the event, Joanne Howe for her help with my press release, Anke Exnor for some pre-book launch encouragement, Sylvia Baldock and my Athena colleagues for their kind support and Robert Clay for all his mentoring over the years and for giving me a wonderful introduction! If the majority of reviews remain positive then it will give me the impetus to continue with my next project; a trilogy of psychological thrillers. #TheVirtuoso – First the Book, Now the Music! 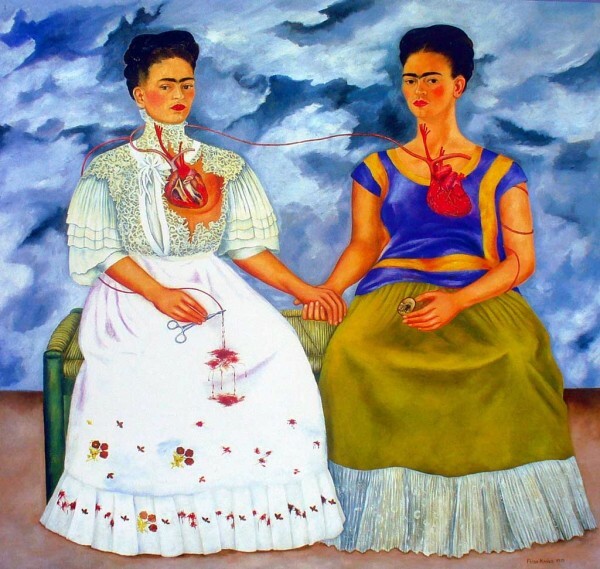 I’ve been itching to write this post for weeks…. In a good way I hasten to add! Whenever I listen to the superb soundtrack that Tim and Adelia created I can hardly contain myself. The music is playing on a continuous loop inside my head alongside the events of the novel. 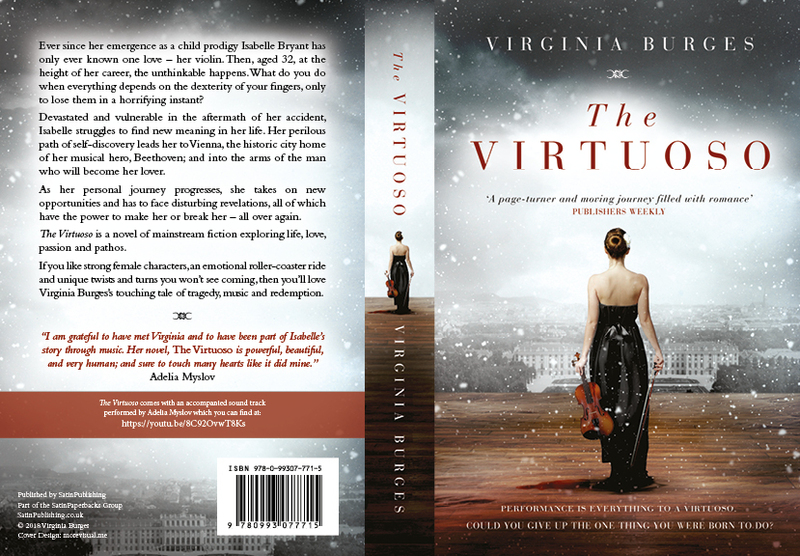 After I finished writing The Virtuoso I knew I wanted to have an original piece of music written for it. To tell the story of a violinist and not have a musical narrative to complement it seemed somehow incomplete. Adelia and I met last summer after one of her concerts – she had just given a tear-inducing performance of Mendelssohn’s Violin concerto – and I was bowled over by her talent. We met briefly afterwards, and I wrote about her in one of my early posts: Gem of a violinist illuminates Church Concert. 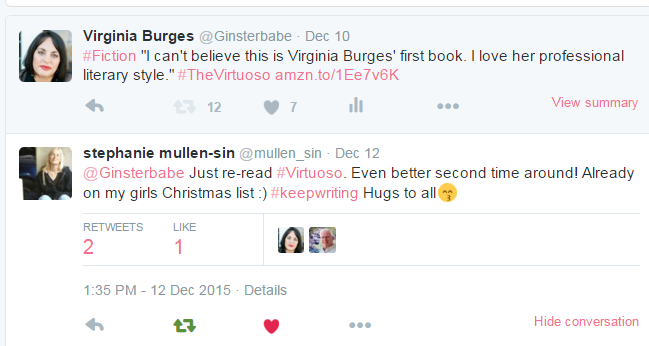 We hooked up on Twitter, and Adelia read my book prior to publication. I was quaking in my boots, I can tell you. Luckily she enjoyed it, and endorsed how ‘real’ it was, so I was relieved that a virtuoso violinist had authenticated the musical aspects of my story. I suggested it would be wonderful if she could play the ‘theme’ for it, and to my absolute delight Adelia agreed! 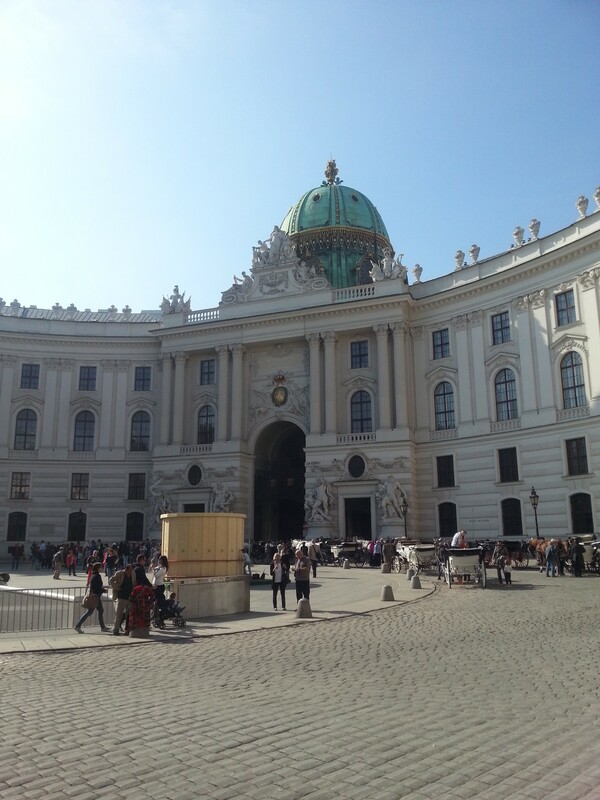 We met up to discuss the project, and Adelia put me in touch with Tim (who she met while studying at the Royal College of Music), and the rest, as they say, is history! Tim began playing classical guitar at the age of 9, then moved to electric shortly after. He has always enjoyed music that was loud and fast, regardless of the genre, be it punk, metal, drum and bass or Bach. On track to study as a sports scientist in college, Tim did a U-turn and decided he wanted to be a professional musician. He completed his music technology A-level in just one year (instead of the usual two), alongside a traditional A-level; after which he gained a place at the University of Hertfordshire to study for a B.Sc. in commercial music composition and technology. During that time he discovered a love for writing film music. He always enjoyed listening to it, but it was during his time at university when he decided that it was the career for him. Tim left Hertfordshire with a 1st Class Honours degree. Despite fierce competition in the world of film composition Tim managed to write for a few adverts and other jobs when he started out, but in light of how tough it was to get hired he decided he should continue his education. He was accepted into the Royal College of Music to study Musical Composition for Screen under Francis Shaw. Along with a good friend, Konstantine Pope, Tim was the first student to be allowed to use the main concert hall for a live electronic concert, with full orchestra, rock band, electronics and a cinema screen with visuals. Since then, Tim has written music (or created sound design) for AAA games, trailers, movies and of course, for The Virtuoso! 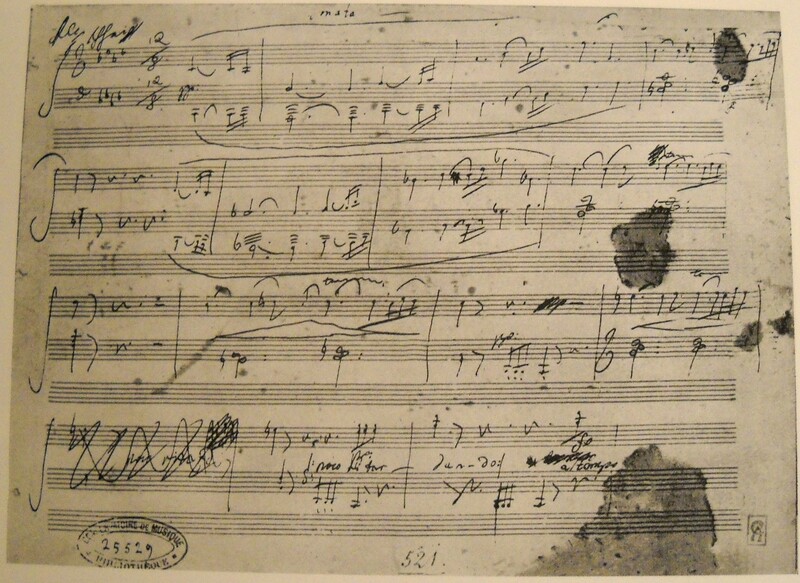 I explained to Tim that I wanted a unique theme with a classical feel to it, perhaps a little Beethovenesque (due to his part in the novel), that would serve three aims: to dramatise the story, give the listener an idea of Isabelle’s character and also a musical experience of the overall essence of The Virtuoso. After we recorded the music Tim told me about how he initially struggled with the concept of a virtuosic piece, and the idea of playing notes for the sake of playing them. He confided in a respected colleague; the conductor and film composer, Nic Raine, who advised him that just a single note can sound virtuosic; it’s how the musician plays the note that matters, it’s their interpretation that makes the difference. He said that Tim should concentrate on a memorable theme. His advice clearly paid off! Tim has done that and more, with a divine melody that Adelia has brought to life on her 18th Century Lorenzo Storioni violin, crafted in Cremona. As an aside, I recently learned that Arnold Steinhardt (the leader of the legendary Guarneri Quartet), also plays on a Storioni violin. 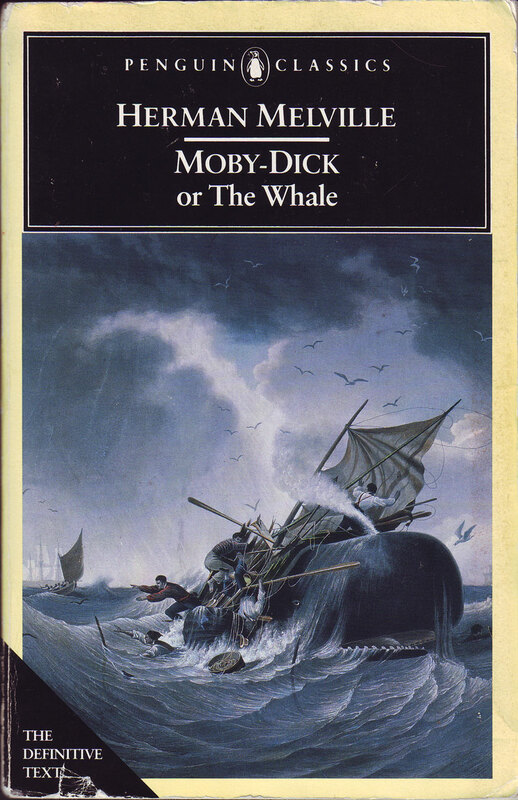 The theme has three distinct parts, akin to the novel. The beginning has a very upbeat feel. You immediately hear Isabelle’s virtuosity on the violin, as well as a sense of her personal struggle, culminating in a flurry of semiquaver passages ending with the dramatic chords synonymous with her terrible accident. It then proceeds in a minor key with the most heart rending melody. This is my favourite part of the composition. Adelia plays this movement incredibly soulfully. 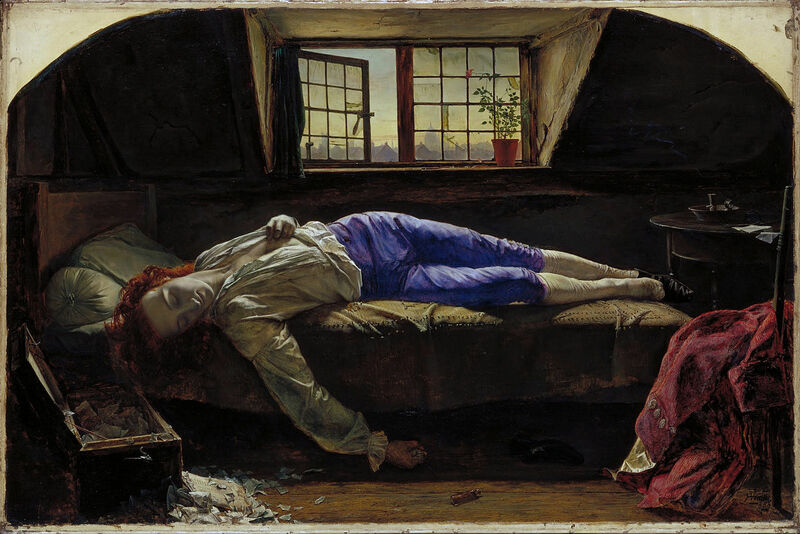 Her performance is laden with powerful vibrato and a profound palette of emotional colours, reflecting the time of deep sadness, devastation and introspection for Isabelle; delivered with flawless intonation in a smooth legato style. The tone she gets from her Storioni is so full and resonant. The finale returns to the opening theme and changes key into C major. There are some incredible semibreve and minim high notes (she makes her Storioni sing, even at the top of the fingerboard in 8th position), which has the effect of fully immersing the listener in Isabelle’s fateful journey before ending on a similar note to the novel. We got together over the May Bank Holiday to record it. I’m full of admiration for Adelia; both as a person and as a musician. She had the difficult task of playing a demanding piece alongside a backing track with a large microphone in front of her. To play normally is one thing, but to play so beautifully and at a fast tempo wearing chunky headphones is quite another! 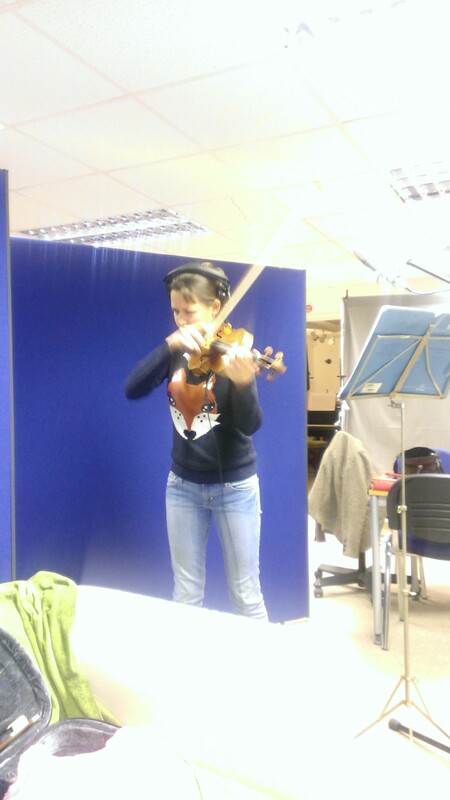 Eat your heart out Jascha Heifetz! As a much in demand concert violinist, her energy and enthusiasm during the recording process – and indeed for the whole project – has been nothing short of miraculous. 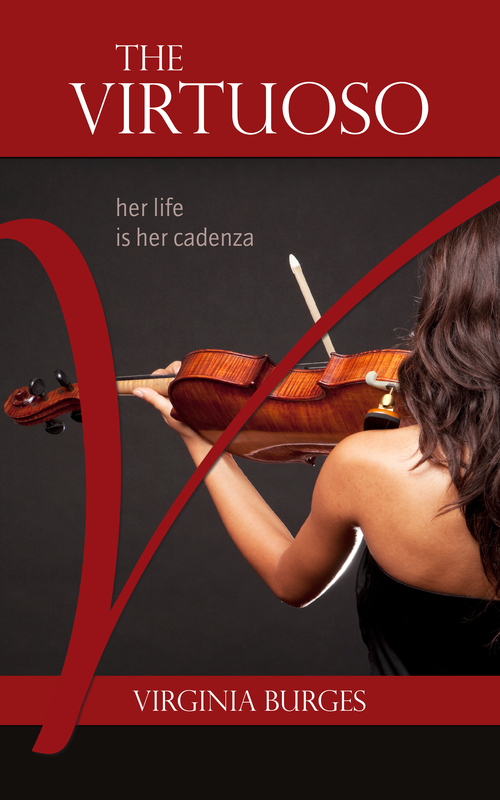 I couldn’t imagine anyone else telling the musical story of The Virtuoso quite like Adelia does. We were able to take sections of the score and make sure we were happy with the result before moving on to the next phrase. 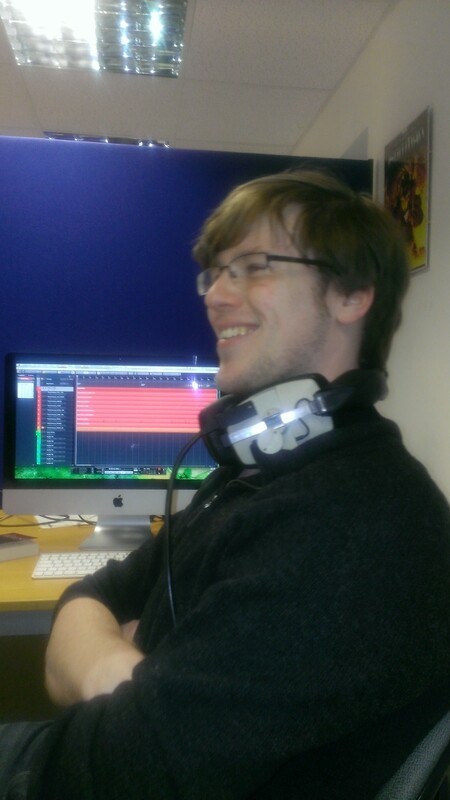 Tim, in his sound wizardry, was able to take all the best bits and put it together in this finished version. 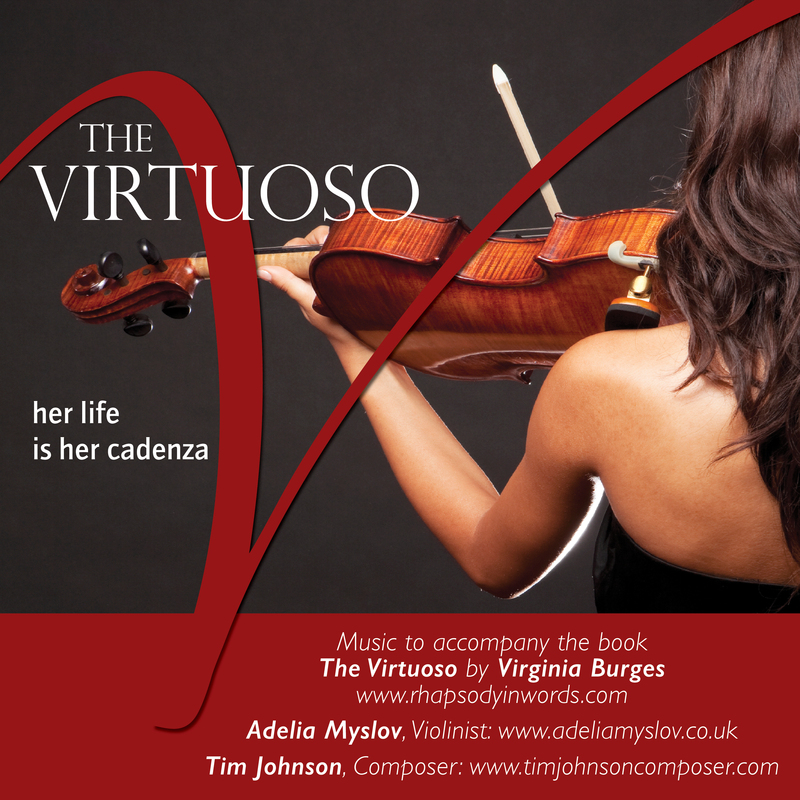 In a few weeks the official soundtrack to The Virtuoso will be available to purchase on Amazon and iTunes alongside the novel. I put together a You Tube video to showcase the music, but please do support the artists by purchasing the track if you like it as much as I do! 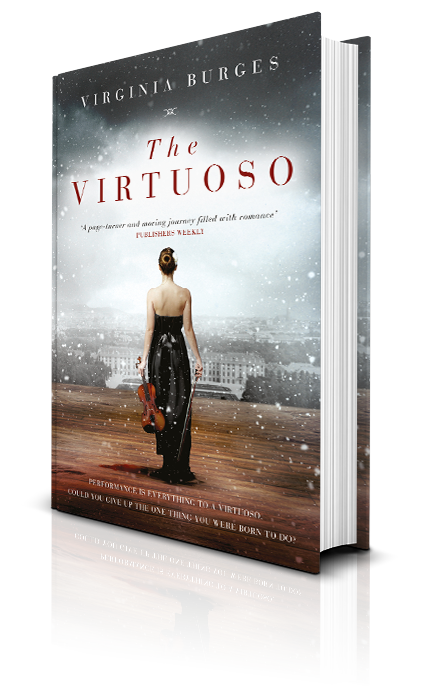 When I started writing The Virtuoso I could never have imagined that Isabelle’s theme would be so exquisite and encapsulate so perfectly the story I have written. Bravo Tim and Adelia! I’m so grateful to them for working with me and sharing their immense talents on The Virtuoso. I’d be delighted to hear your thoughts on the music, please do leave a comment or get in touch. I know it would mean a lot to Tim and Adelia as well. Ultimately, the quality and rarity of Amati, Stradivarius and Guarnerius violins will render them more expensive than their modern counterparts, no matter how good and comparable the modern violins may be. With only around 600 Stradivarius instruments left in the world not everyone is fortunate enough to be able to play on one, (at least all of the time), let alone own one. And of course, the provenance greatly affects the asking price. Who has owned it, and when, who has played on it, what music has been written for it, the condition, these elements all add to the mystique and desirability of the instrument. 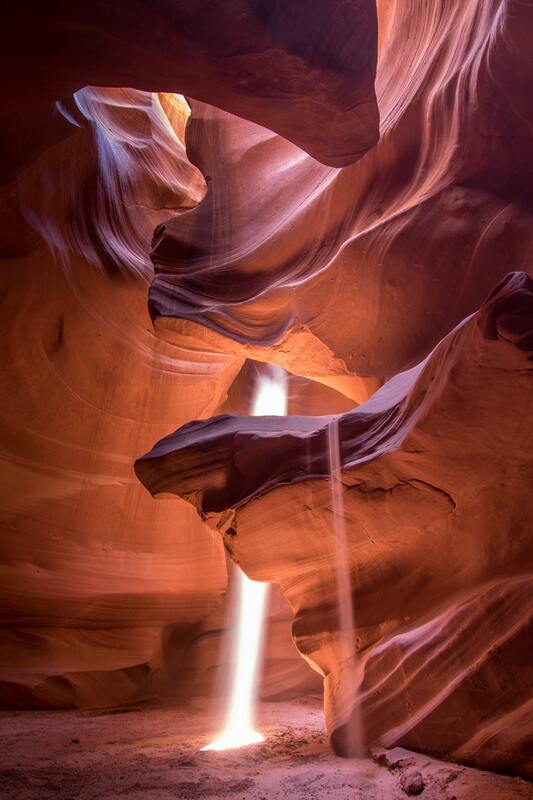 Much like a work of art, a painting is worth what someone is willing to pay for it. And in many instances they pay millions. 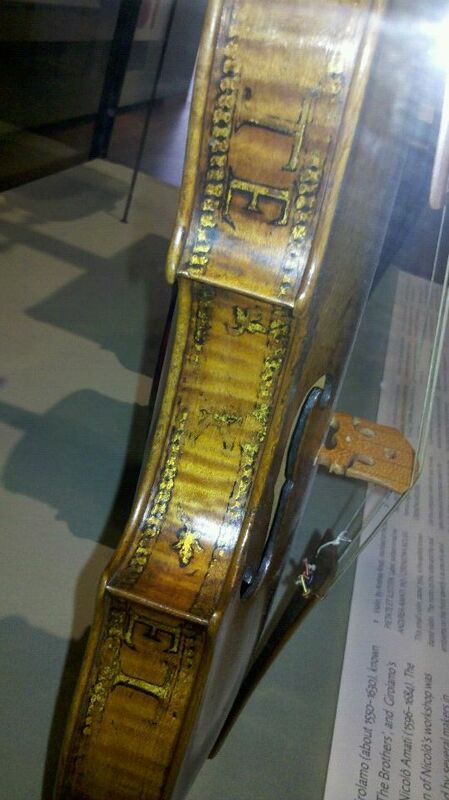 Paganini’s violin, the priceless ‘Il Cannone’ was made by a contemporary of Stradivarius; Giuseppe Antonio Guarneri of Cremona, in 1743, and is famed for its power and resonance. Interestingly, when it needed maintenance and repairs, these were undertaken by luthier Jean Baptiste Vuillaume in Paris, who constructed a replica violin so precise in every detail that even Paganini could not distinguish one from the other! Eventually he came to recognise the slight differences in tone, and was able to tell the original by sound. 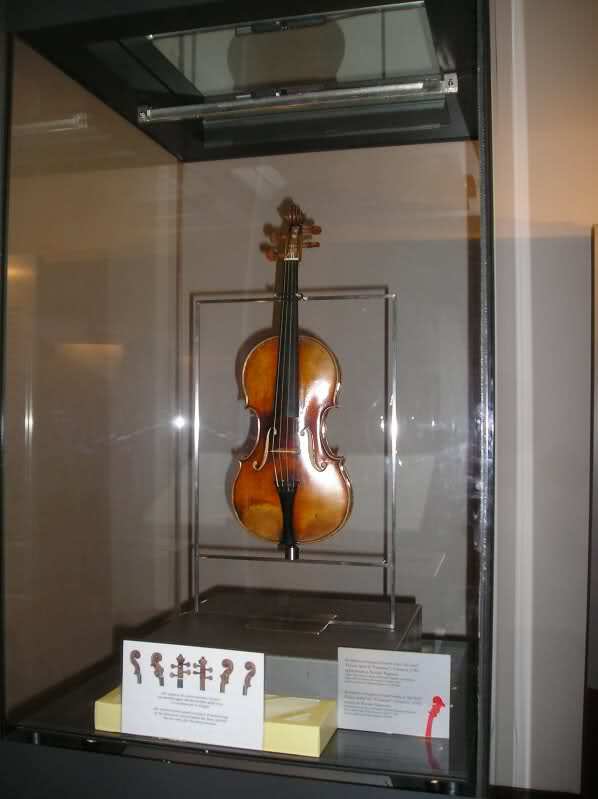 The violin and its replica are kept on display in Italy at the Genoa Town Hall. Occasionally it’s lent to performers. The debate over the sound quality of ancient Italian violins compared with each other and mostly to their modern counterparts has endured for years. Virtuosos past and present, such as Fritz Kreisler, Jascha Heifetz, Isaac Stern, Itzhak Perlman, Nigel Kennedy, Midori and Sarah Chang have owned, or played, and in some cases preferred, Guarneri over Stradivari. Who can say exactly what that special ‘je ne sais quois’ is, that elevates the Cremonese creations from all other violins? There are so many aspects to making a stringed instrument, and to me it makes sense that skill in every area of construction affects the finished product. I think it’s worth making the point that for most musicians it’s the relationship that they develop with their instrument that’s the most important thing. After so many hours of practice and performance the feel and touch and memory of every curve and angle is interwoven into your psyche, and it can feel like part of your body! 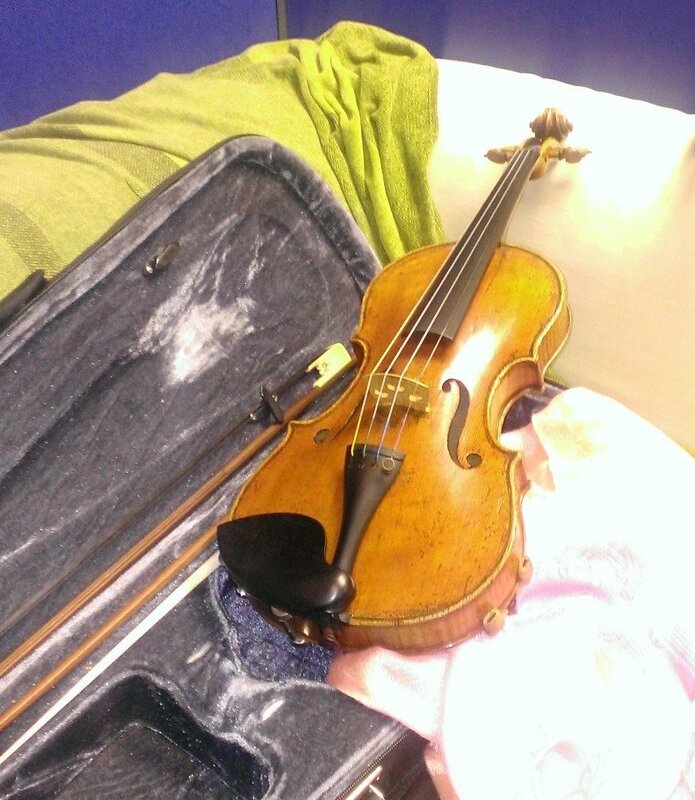 My own violin is Hungarian, (late 19th Century), and to me its tone is amazing, considering it’s probably a gypsy violin. That’s why I was so interested in the story of the Hungarian born Dr. Joseph Nagyvary. 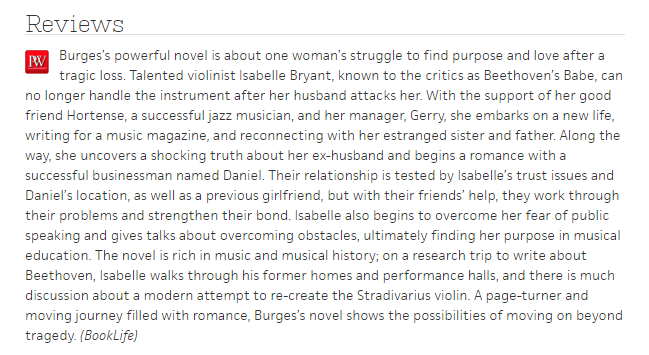 As the violinist and heroine of my novel, Isabelle Bryant does get a little caught up in this debate. In my story, she plays the Nagyvary violin that was once played by Yehudi Menuhin. She made her way south on the underground from Baker Street to London Victoria. The dreary grey sky hung like a heavy cloak over the platform. As the train jolted to halt she quickly found a seat by the window, and nestled her case vertically between her feet and knees. As more passengers entered the carriage she touched the edge of her violin case lightly, smiling with resigned humour as a passing stranger made a joke about her carrying a machine gun. Her violin represented another limb to her, it was that precious. It felt so natural, like an extension of her body. She gently rubbed her neck which was feeling a little sore. The rough, red patch of skin on her neck just below her jaw was often mistaken for a love bite, when in fact it was what she affectionately referred to as a violinist’s hickey. Many hours of gruelling practise had left their marks. Her mind drifted to her earlier private viewing of the Academy’s museum, where she had been shown round by the curator in person. 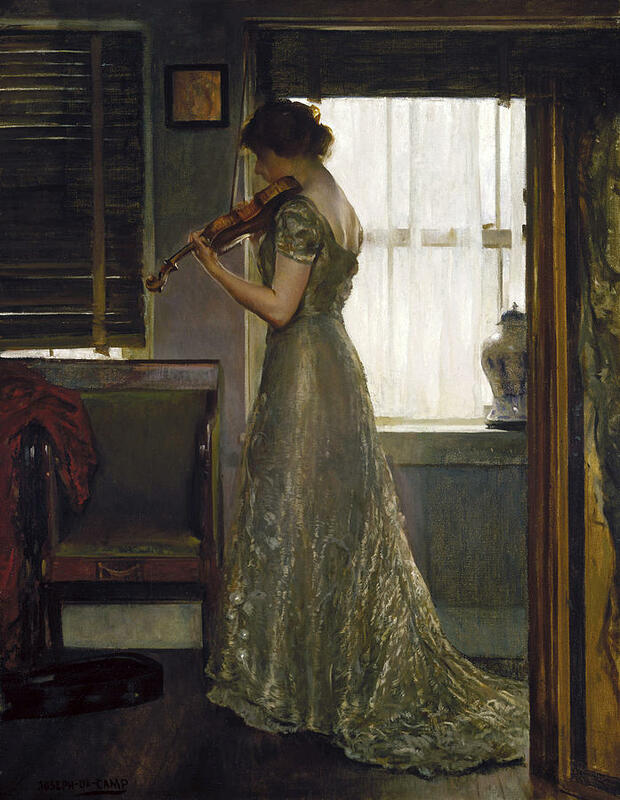 She had spent a blissful afternoon paying particular awe and reverence to their recent acquisition of Italian virtuoso Giovanni Battista Viotti’s 1709 Stradivarius, renamed as the Viotti ex-Bruce to honour its British donor, which the Academy extolled as one of the most important and well preserved Stradivarius violins in the world. She had studied the sheen of the dark, pinky brown maple, picturing the old master craftsman huddled in his workshop in northern Italy; surrounded by the distinctive wooden shapes that would become so valuable over three hundred years later. Sadly there were so few of them remaining. Her own violin, a modern Nagyvary, was crafted by the eminent Hungarian professor Joseph Nagyvary, who had spent his life studying the craftsmanship of Cremonese violin makers; namely Stradivarius and Guarnerius. Nagyvary violins were made as closely to those of the ancient genius as possible, and there had been many debates about whether or not they actually sounded as good as those of the master. 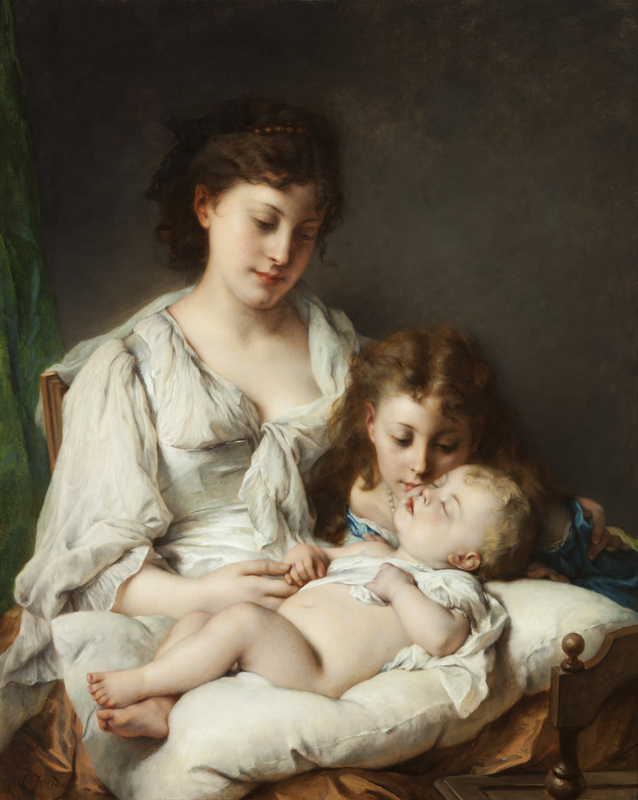 Isabelle adored its sonorous tonal qualities and projection power. If a Nagyvary violin had been good enough for Yehudi Menuhin to play for fifteen years, then it was good enough for her. 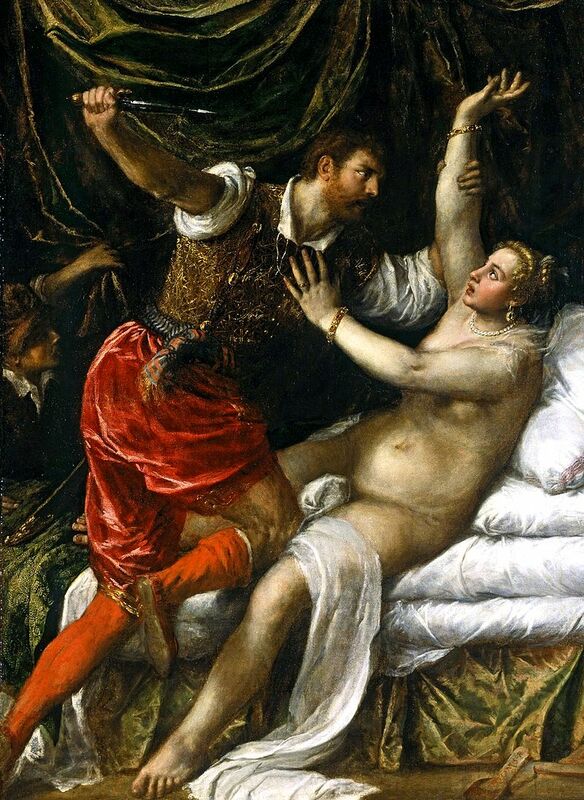 Gerry, in his nothing is too much of a challenge for me attitude, had managed to do a deal with Joseph Nagyvary to loan Isabelle the instrument indefinitely. It was her most precious possession – except that she didn’t own it. Wonderful video from the Library of Congress with Peter Sheppard Skaerved, an award winning British violinist, who has performed on ‘Il Cannone’ five times. The mystery and romance of centuries old Italian violins has filtered into film making, with the brilliant 1998 movie, The Red Violin. The actual violin that inspired the Red Violin is Stradivari’s 1721 ‘Red Mendelssohn’, currently owned by Elizabeth Pitcairn, heiress to the PPG fortune, whose grandfather purchased it for her 16th birthday at auction for $1.7 million at Christie’s in London.